The SLA24U slanted rack has 24 spaces for 19-inch rack mountable equipment. 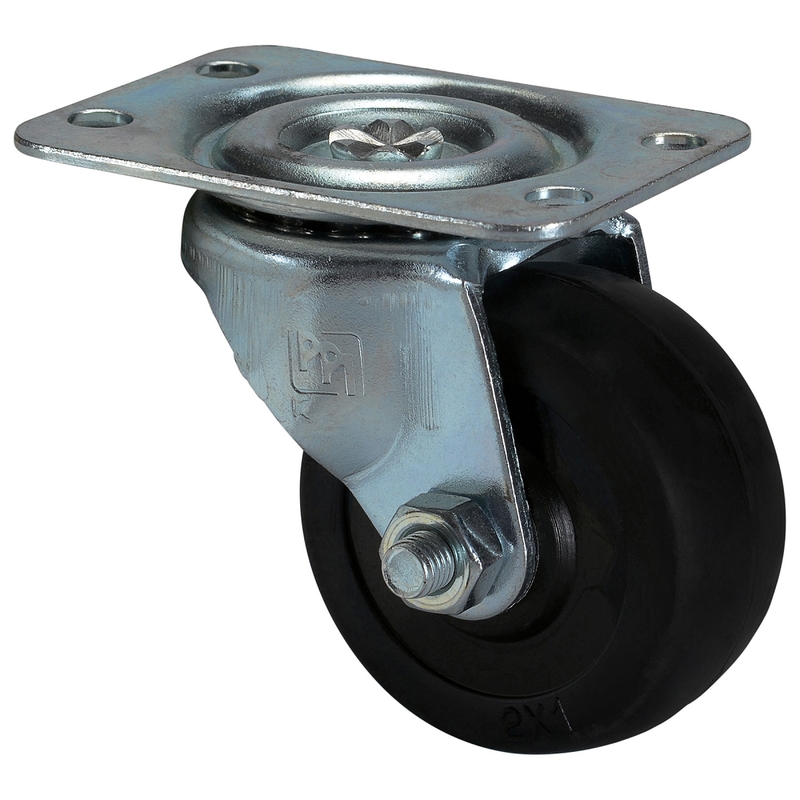 The optional 2-inch casters are concealed for a sleek look. The slanted front allows easy access. 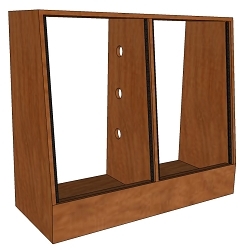 A great floor cabinet for your home or professional audio/video recording studio. Choose from Pine, Oak, Maple, Cherry, Hickory, or Walnut. 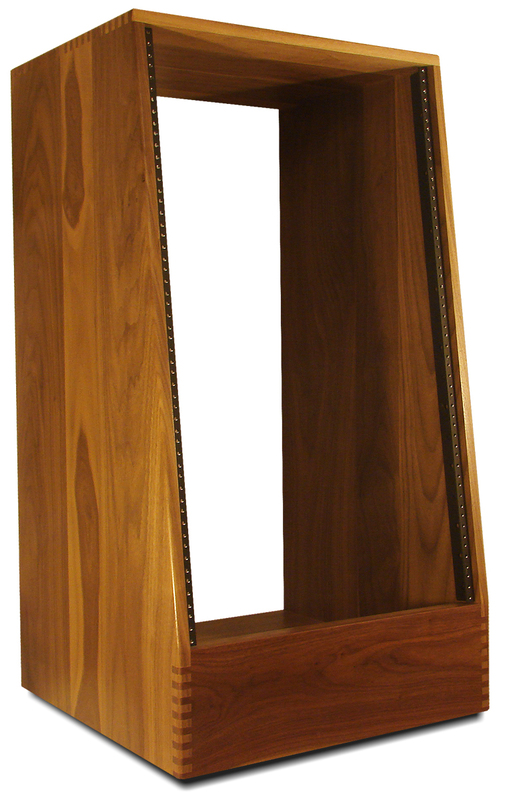 Our slant rack is manufactured from premium woods that are hand-picked and plate-joined in our shop. All joinery is finger-jointed for a high-end furniture feel and finish. Available in 8U, 10U, 12U, 14U, 16U, 18U, and 24U space. Please note: The 24U slant rack will ship oversize which increases the shipping charges by approximately $55.00. Add to cart for a shipping estimate. Height with casters is 49-1/2". Actual weight is approximately 78 lbs. depending on wood species. Dimensional shipping weight is 219 lbs.